God gained a new angel in heaven on Tuesday, April 9, 2019; and Earth lost one of its best when Cecelia Ann Waits passed away at the age of 87. A graveside service will be held at 1:00 p.m. Friday, April 12, 2019, at Blum Cemetery; 309 Avenue F, Blum, TX 76627, with Rev. James Price officiating. 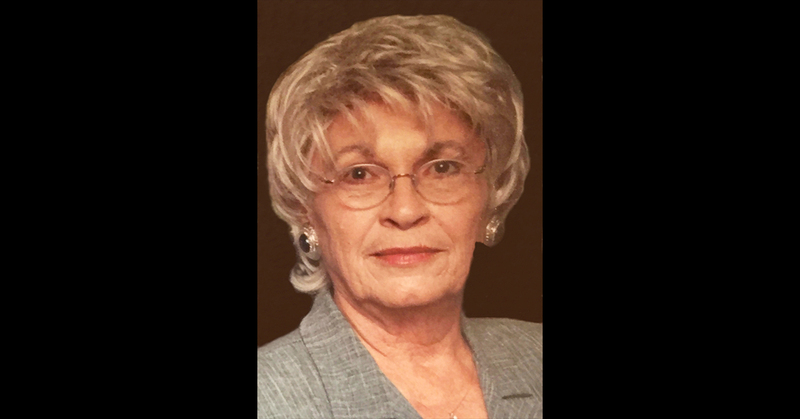 She will lie in state from 9:00 a.m. - 7 p.m. Thursday, April 11, at Marshall and Marshall Funeral Directors in Hillsboro; 2495 Corsicana Hwy., Hillsboro, TX 76645. Cecelia was born on October 18, 1931, to Harold Taylor and Isabell Bennett Erwin in Pawhuska Oklahoma. She grew up twirling batons, tap dancing and socializing with anyone and everyone that would listen. In her younger years, she divided her time between Blum, TX and Pawhuska, OK; where she grew up working at the local grocery store. Cecelia’s favorite story to tell was on hot summer nights, James Erwin would take his family to the Nolan River and they would lie on the cold rocks. In 1954, she married James Waits who was on leave from the Air Force. They left soon after with a few dollars in their pockets and headed to Nova Scotia, right outside of Maine. Together they raised their three children, Monica Gail Lambert, Daniel Ross Waits, and Karen Elizabeth Thomas. While raising their children, she worked in the school system and later retired to the family farm. Cecelia had a deep love for her Osage Heritage, her jewelry, Sausage Griddles from McDonald's, and playing 42 with friends. Her outfits and her house were filled with bright colors that reflected her zest for life. Cecelia was one of a kind. Her life was filled with family and friends, and her family and friends were filled with life by knowing her. Cecelia was most often described as strong-willed, a fighter, and an incredible cook and seamstress. She is survived by her three children, Monica Lambert and husband, Tim, Danny Waits, and Karen Thomas and husband, James; as well as her beloved dog, Millie; six grandchildren, April Sykora, Ashli Gann, Nolan Waits, Cody Thomas, Casey Thomas, and Taylor Thomas; 12 great-grandchildren; and her extended family and many loving friends. Cecelia was preceded in death by her husband of over 50 years, James Waits; brother, Gene Erwin; parents, Isabell Erwin and Harold Taylor; sister-in-law, Earleen Cudd; as well as her great-grandchildren, Blake and Trevor Sykora.